Tax exemptions are a privilege and should not automatically be granted to any organisation, including churches. One of the U.S.’s founders’ primary complaints was that there should be no taxation without representation. If this is true, it’s inverse is also true: there should be no representation without taxation. If the church expects representation of their core beliefs in government, they should contribute to maintain that government. They should be taxed at a rate that is based on how they physically support a community or demographic. There are a lot of churches that lock their doors when they are not preaching. Churches should not be given tax exemption. If a church wishes to use its income for charity, the money used for that charity can be exempted, the same way it works for individuals. Our tax code is way too complex with too many deductions and exclusions. We should all pay our fair share based mainly on income. Most charities are specialized and do not benefit the general public. Reign in tax exemptions for most institutions. The Red Cross, for example, benefits everyone. easy to create new religions (churches) just to benefit from tax exemptions - for example, making yourself the leader of the new religion and making your salary tax exempt. Despite being given automatic tax exemptions by the government (due to them being a charitable organization), churches are not legally obligated to act charitable or provide any public service that would be considered charitable. Tax exempt status should not be automatic. The operations, aspirations and beneficiaries should be examined initially and periodically reviewed for each entity, and tax exempt status awarded on a case-by-case basis. There can be a happy medium. If churches and religious organizations were required to file and show their expenses then the charitable activities and religious activities would be exempt. Large salaries and distributions to leadership would be subject to taxation. The point is most objections to tax exemptions is when preachers and others are living the grandiose lifestyle with charitable donations. It is not unfair to ask any religious entity desiring tax exemptions to go through the same process a non-religious entity desiring the same tax exemption goes through. 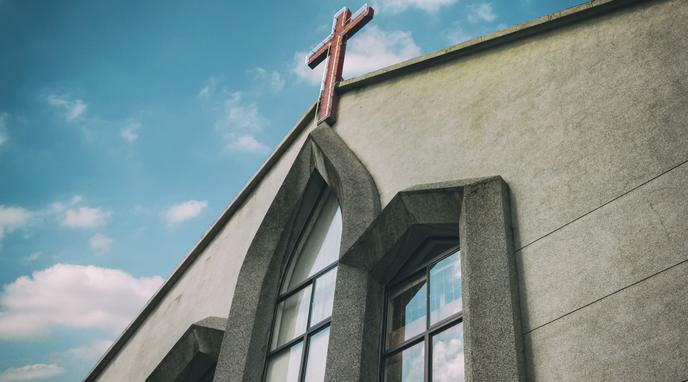 By giving tax exemptions to churches on a case-by-case basis rather than automatically, the state can incentivise churches to engage in socially productive behaviour. Churches should exist legally as non-profit charities and be expected to maintain the same documentation. This would prevent abusive money making schemes and tax evasion such as scientology and mega churches from wealth building without income tax and property tax. Being tax exempt comes together with huge disadvantages. When a church accepts the 501(c)(3) status, that church waives its constitutionally guaranteed rights: freedom of speech, freedom of religion and the right to influence legislators and the legislation they craft. It is no longer free to speak to the vital issues of the day. It becomes controlled by a spirit of fear that if it doesn’t toe the line with the IRS it will lose its tax-exempt status. Churches do not need to be granted automatic, blanket tax exemptions. They could instead be granted automatic exemptions from specific types of taxes. receiving taxes, rather than paying them. Not receiving taxes is already a disadvantage in comparison to this. The power to tax is also the power to regulate. Without an automatic exemption, the government could use the tax law to favor religions it likes and disfavor religions it does not like, or discriminate against smaller, less mainstream churches and religions.